(Jakarta, November 11, 2015) – Indonesian authorities continue to restrict access by foreign journalists and rights monitors to Indonesia’s easternmost provinces of Papua, raising serious concerns about the government’s commitment to media freedom, Human Rights Watch said today in a new report. 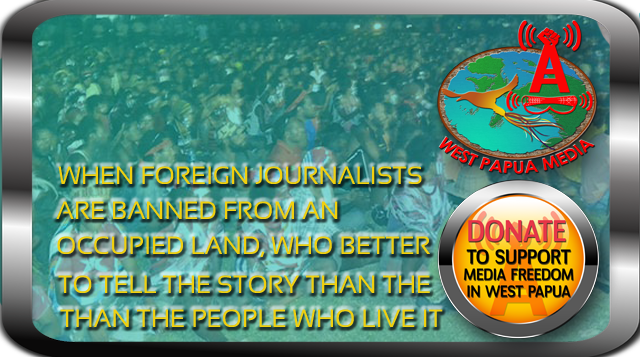 The restrictions defy a May 10, 2015 announcement by Indonesia’s President Joko Widodo – popularly known as Jokowi – that accredited foreign media would have unimpeded access to Papua. The 75-page report, “Something to Hide? : Indonesia’s Restrictions on Media Freedom and Rights Monitoring in Papua,” documents the government’s role in obstructing access to the provinces of Papua and West Papua (collectively referred to as “Papua”), including government backlash since Jokowi’s announcement. The decades-old access restrictions on Papua are rooted in government suspicion of the motives of foreign nationals in a region still troubled by widespread corruption, environmental degradation, public dissatisfaction with Jakarta, and a small pro-independence insurgency. Human Rights Watch interviewed 107 journalists, editors, publishers, and representatives of domestic and international nongovernmental organizations for the report. Foreign correspondents describe an opaque and unpredictable permit application process in which they often never received a final response. Many have waited fruitlessly for months – and in some cases years – for approval. Jokowi’s May 10 announcement has faced strong resistance by some senior government and security forces officials, Human Rights Watch said. The government has also not followed that announcement with a specific written directive, which opened space for non-compliance by state agencies and security forces opposed to loosening restrictions on foreign observer access to Papua. Various senior officials have since publicly contradicted the president’s statement. Even the Ministry of Foreign Affairs, which has announced that it has “liquidated” the 18-agency “Clearing House” that previously was used to vet journalists, has confirmed that prior police permission is still required for foreign media access to Papua. The Ministry of Foreign Affairs is in some cases also continuing to ask some journalists seeking to travel to Papua to provide, in advance, details of their likely sources and dates of travel. However, a Jakarta-based foreign correspondent showed Human Rights Watch a copy of correspondence with the Ministry of Foreign Affairs from July 2015 in which a ministry official listed both a surat jalan, or travel permit, from the National Police’s Security Intelligence Agency, as well as a “letter of notification” specifying the journalist’s “purpose, time and places of coverage in Papua,” as prerequisites for access to Papua. Foreign journalists who ultimately are granted Papua access permits often face surveillance and harassment after arrival in Papua. Several said that they were required to have an official “minder” from the State Intelligence Agency (Badan Intelijen Negara, BIN) for the full duration of their visits, significantly limiting their ability to report on issues deemed sensitive. Indonesian journalists – particularly ethnic Papuans – are also vulnerable to restrictions on media freedom in Papua, Human Rights Watch said. Reporting on corruption and land grabs can be dangerous anywhere in Indonesia, but national and local journalists told Human Rights Watch that those dangers are magnified in Papua. In addition, journalists there face harassment, intimidation, and at times even violence from officials, members of the public, and pro-independence forces when they report on sensitive political topics and human rights abuses. Journalists in Papua say they routinely self-censor to avoid reprisals for their reporting. That environment of fear and distrust is increased by the security forces’ longstanding and documented practice of paying some journalists to be informers and even deploying agents to work undercover in newsrooms as journalists. These practices are carried out both to minimize negative coverage and to encourage positive reporting about the political situation, and they generate distrust among journalists. Representatives of international nongovernmental organizations, United Nations experts, and foreign academics have also faced official obstacles to visiting Papua. Since 2009, the International Committee for the Red Cross, the Dutch development organization Cordaid, and the Peace Brigades International have all limited or closed their Papua-based operations due to pressures from the Indonesian government. For accounts from the report, please see below. – Bobby Anderson, a social development specialist and researcher who worked in Papua from 2010 to 2015, describing the government’s “Clearing House” screening of foreign journalists seeking to report from Papua. – Agusta Bunay, a Papua Barat TV presenter, on self-censorship among journalists fearful of possible reprisals for independent reporting.